Deutsche Bahn has challenged manufacturers Siemens and Bombardier to make improvements to the ICE 4 car bodies. The German rail operator says they do not meet their high quality standards. DB does, however, insist that all ICE 4 trains are safe and customers have not been inconvenienced in any way. Deutsche Bahn says that some of the ICE 4 railway vehicle bodies do not meet the quality standards that it agreed with the manufacturers in their contracts. This could lead to greater maintenance requirements in the future, DB said. Other than the cost implication, Deutsche Bahn is struggling to keep up with passenger demand and therefore cannot afford to take additional trains out of service. Bombardier Transportation and Siemens AG announced together that Bombardier discovered the quality issues as part of its quality management service. German newspaper Die Zeit reported that the issue lay with the welding seams. Deutsche Bahn has also confirmed that all ICE 4 trains affected will remain in operation. Die Zeit further reports that news agency dpa discovered that the issues with the welding seams were down to the work of a single employee in a Polish factory who has been let go. Bombardier Transportation is responsible for the manufacture of the ICE 4 car body shells as a subcontractor of Siemens AG. Deutsche Bahn has challenged the manufacturers to make immediate improvements to the affected vehicles as part of the warranty. The parties are currently working out the details, which Deutsche Bahn and the German Federal Railway Authority (EBA) will then approve. Until there is a final improvement concept, DB has decided it will not receive any further ICE 4 trains from the manufacturer. It insists: this issue has not caused any inconveniences to passengers. 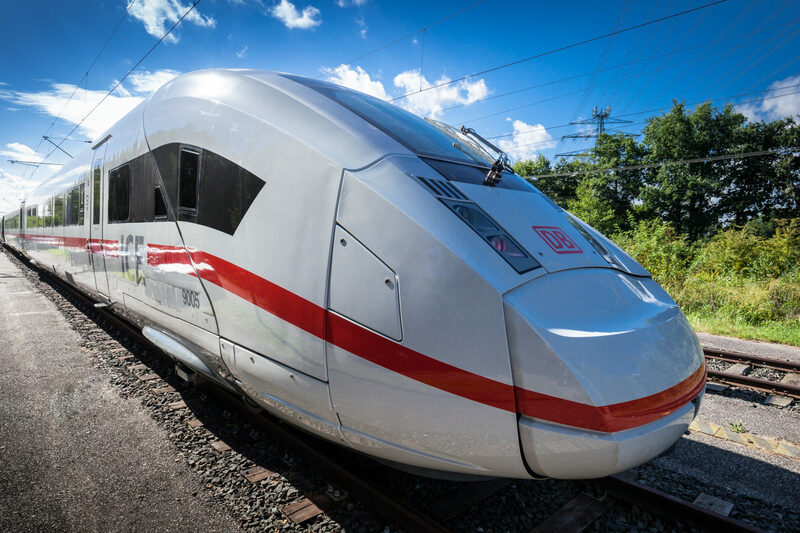 Siemens is the main contractual partner for Deutsche Bahn’s ICE 4 trains. The company signed the contract with Deutsche Bahn in 2011. This framework agreement covered 300 ICE 4 trains. 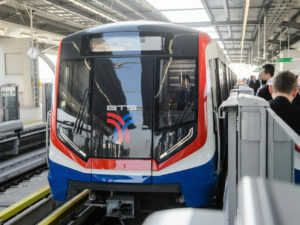 Bombardier was involved in the bid and contract right from the start as a consortium partner. Deutsche Bahn rejected a rival bid from Alstom for 5–8 billion euros for the 300 ICE 4 trains (depending on configurations). As the consortium partner Bombardier holds a 30 percent share of the contract. In 2013 Deutsche Bahn ordered additional cars to run the ICE 4 in a 12-car configuration, instead of a 10-car configuration as originally planned. Interestingly, German newspaper Der Spiegel reported at the time that Deutsche Bahn wanted to protect itself against quality failures. For example, DB said it would only fully pay for a train once they were 100 percent working. Instead of dynamic testing taking place with passengers, DB said that each ICE 4 train would have to run tests for two months first. Siemens was also made specifically responsible for the quality of the wheelset axles. If one of them were to become defective before the train has done four million kilometres, Siemens must replace it for free. Following a successful two-month test period without passengers – bar defective bins – vibrations became a problem in January 2017, after 140,000km. Siemens says problems with the contact between the wheel and the rail were the cause, following altered rail profiles. The first ICE 4 entered service in December 2017. In September 2018 then, Deutsche Bahn issued a further order for 18 seven-car ICE 4 trains and 50 EMU cars. Deutsche Bahn wants to use these 50 cars to lengthen its existing ICE 4 trains. These Bombardier’s share of this contract is roughly a third and worth 198 million euros (223 million USD). Within the consortium, Bombardier is responsible for the car bodies, the bogies and around 30 percent of the final assembly.